When I asked The Chowprincess where she wanted to go to celebrate she asked if there were any new restaurants worth trying. After providing her with a thorough rundown I realized that she had fallen asleep. After she woke up, she said she wanted to go to Casa Tua. This was a very random and surprising request although it is famous for being a romantic spot on South Beach. We actually used to frequent the upstairs lounge/bar area when it first opened and prior to it becoming a member only club. It was a great escape from the hustle and bustle of South Beach. I had sampled some of the restaurants' food early on but had not been back in a long time. I was intrigued by the selection but remained skittish since I had not seen or heard any positive reports in a long time. This had bust written all over it. After securing our reservation I went to their website and reviewed the menu. It contained enticing appetizers like seared foie gras with ginger and tomato marmalade, organic zucchini flowers stuffed with mozzarella and ricotta, grilled octopus, burrata and soft polenta with black truffles. The homemade pastas jumped off the menu. Tagliolini with creme fraiche and caviar, raviolini del plin with mushrooms and truffle pecorino and black truffles. Farro risotto with main lobster, risotto with black or white truffles and tagliolini with stone crabs and zucchini. The entrees looked strong as well, especially the beef tenderloin with foie and the veal cheeks with polenta. This was looking promising now. Casa Tua is located in a renovated Mediterranean styled house and also contains a small hotel. The restaurant has three seating options. There is a large communal table that over looks the open kitchen. There is also indoor seating in the main "living" room and several tables out in the patio/garden area. The patio is the way to go especially if you are doing the romantic thing. We were a bit concerned because the temperature was dropping but they had plenty of heat lamps that made it very comfortable. The patio is quiet, candle lit, charming and I was told romantic. The setting was perfect. I had seen several complaints over the years about the service being pretentious and unresponsive. No issues here. It happened to be courteous and very efficient without being intrusive. They were also very patient while I studied the large wine list in the dim light. The mini flashlights they provide were a big help. The food- There were so many interesting options that I had a really difficult time ordering. The menu was almost entirely different from the one listed online but contained several interesting options. The agnolotti with braised kobe beef , fonduta cheese and black truffles had my name written all over it. Thus, I bypassed the appetizers and went with that plus the veal cheek with mushrooms and polenta entree. Good call. No great call. The agnolotti was light and soft yet able to hold the rich tasting braised kobe beef. The black truffles added a knockout punch. In fairness, I've had better truffles than this one but I'm really not complaining... Next were the veal cheeks served with mushrooms and polenta. The veal cheek was super soft and spoon tender. The meat was delicious without being overly rich. It was accompanied with a small dish of its gravy like juices that was packed with flavor. So good. The Chowmother aka The Chowprincess opted for the burrata which was fresh and creamy. It was a generous portion but not the best I've had. She opted for a pasta as her entree and the tagliolini with creme fraiche and caviar was a no-brainer. The portion was on the small side and difficult to eat because it was served in a narrow cup like dish. Nevertheless, the combination worked and she was happy. We are not dessert people and rarely order one unless we are at Micheal's Genuine where they are hard to resist. That said, we enjoyed our meal so much that we both ordered a dessert. I can't recall what we had (that's the non dessert eater in me) but both were very good. I was concerned going in that I was going to be unable to find a reasonable priced bottle of wine off the menu but was able to locate several options at a reasonable price point. I opted for a nice 2006 La Spinetta Ca' di Pian Barbera d'Asi for $50. The $8 Franco Prosecco we started with was very good. The setting was perfect, the service was spot on and the food was excellent. 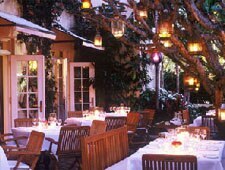 If you are looking for a quiet romantic spot with great homemade pastas and quality gourmet ingredients look no further than Casa Tua. Nice post. I've never been but "it's on the list". I also cracked up at the "after providing a thorough rundown I noticed she had fallen asleep" part hahaha. Thanks. You should try to get into the lounge/bar upstairs for a drink. It was a Cool spot before going private and I saw a solid crowd (hint hint)heading upstairs toward the end of our meal.